Be sure to check out the APE physics engine for flash. The library contains particles to assign to movieclips that appy the physics. These base objects can be extended in many ways to create complexity from simplicity. 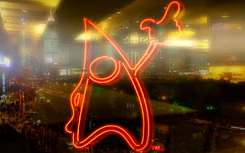 APE (Actionscript Physics Engine) is an AS3 open source 2D physics engine for use in Flash and Flex. APE is written and maintained by Alec Cove. Hopefully we will have a tutorial soon here using APE and some other excellent libraries released recently with the onslaught of AS3 code and kits that will be fluid in their frequency. Another coming physics library is from polygonal labs called the Motor Engine. The Algorithmist posted an AS3 character rigging class library. The kit includes some really specific classes for building characters and is quite well done. The library includes all you need to rig up characters in flash and includes the source, samples for flex and what the hell more could you ask for? Arm – 2-link bone chain representing right or left arm in a humanoid biped. BaseBone – Base class encapsulating functionality common to Bones and Connectors. Biped – Used to create and animate humaniod biped characters. Bone – Represents a single bone with support for fast propagation of FK transformations in bone chains. The Bone class is optimized for linking bones together in chains. Chain – Manager class for a single chain of bones. Clavicle – 1-link connector representing right or left clavicle in a humanoid biped. Connector – Optimized container for multiple single-bone chains with a single input and multiple terminators. Chains or additional connectors linked forward at each terminator. Foot – 1-link connector representing right or left foot in a humanoid biped. Hand – Multi-link connector representing right or left hand in a humanoid biped. Head – 1-link connector representing a humanoid biped head. IBone – Bone interface – represents all functionality a bone must implement. IChain – Chain interface – represents all functionality a bone chain must implement. Chains and Connectors implement IChain and are considered interchangeable when propagating FK. Leg – 2-link bone chain representing right or left leg in a humanoid biped. Neck – 1-link connector representing the neck of a humanoid biped. Pelvis – Multi-link connector representing the pelvis of a humanoid biped. SimpleSpine – 1-link connector providing the simplest representation of a humanoid biped spine. Used for very simple (but fast) game characters. Template – Templates are used to skin (or draw bones) for segmented characters. Refer to SimpleSkinTest for examples. When developing physics and character based animation rigging can help to really speed things along in 3d and here in this case in 2d flash. This allows the developer/animator more freedom to work on the animation and not about redrawing. It also helps to create characters that can be animated from the beginning rather than an afterthought which usually leads to less troublesome issues. The AS3 rigging classes are used for skelton rigging and skinning of 2D characters. The rigging class library is organized around the development of highly specific articulated rigs. The current focus is on humaniod bipedal characters. In a 3D animation package or game engine, a bone hierarchy would normally be represented as a tree structure. In this class library, bones and chains are organized in a structure that is easier to deconstruct and understand by OOP programmers. This structure has some performance advantages, particularly when propagating FK in a 2D rig. The only drawback to this kit is it is not fully open source and commercial use must be approved. The Singularity AS3 parametric curve library requires the Flash 9 player and a development environment supporting Actionscript 3. 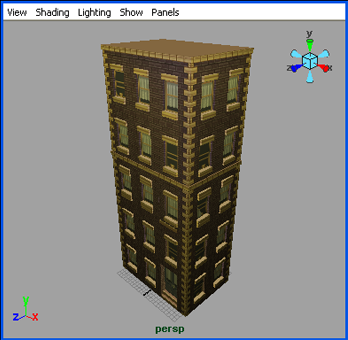 All demonstration programs were created with FlexBuilder 2. The AS 3 character rigging classes are copyrighted and licensed for personal, experimental usage. Please contact me to obtain authorization for commercial use. 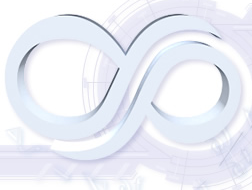 The download includes the entire Singularity package (which includes the parametric curve library). Download library (.zip) here. Before running any example programs, place the Singularity package in your build path. Obligatory posting on FlashDevelop3 Alpha being released. To people like me alpha means “old school” released. I am ready to use it today! If you are not using FlashDevelop for your coding portion of your flash application, you might be missing out. There is a reason some of the best actionscripters (ahem actioncoders) use it. Mouse gesturing can be used for recognition of letters, numbers or even just programmable actions by gesture. Imagine an application that allows you to just make a gesture (even if its not a drawing program or letter recognition) that would open when you make an open gesture, or close a file with a slash gesture. I have many uses for this planned. Very inspiring stuff. This project is OPEN SOURCE under RPL License. Darren David has posted a WPF animation kit to help bring it to Actionscript level of one line animation calls such as to packages like Tweener for Flash. Essentially this kit helps to take most of the quirks out of learning animation in WPF early on and making it more like Flash code animation which is a requirement for anything like games, random, visualizations that have no limitations. I am happy to see this toolkit and more like it soon. It may help crossover but it also provides a base level platform that allows developers to ride and make solutions in either platform with similar syntax (hrm like the Java to C# toolsets). Good solutions are not only on one platform but this is only for WPF so far. Found via Zeh. Here is a small tutorial on scripting and its great changes in AS3 from AS2/AS1 thinking, we are focusing on mouse events currently. The great thing about Flash9 and specifically AS3 (Actionscript3) is that it is starting to become a real programming platform and losing many of the silly hacks that is used to have. This is a good thing. Old hacks like tellTarget are finally gone. Pixel level manipulation is possible and even faster. Real frameworks, excellent structured animation kits and even 3d engines are being built everyday. And invisible buttons are not needed anymore! Like when people migrated from desktop to web, or VB6 to .NET, or OO to functional, we tend to try to reimplement the same solutions in new platforms even if there are better options because it worked before. Anything can be clickable and a button in AS3. Link a class to an object in a movie, dynamicly drawn asset or external asset and you are ready to make it a button. You will note the addition of the event to the movie clip which makes it clickable. This again makes the movieclip clickable by listenting for the MouseEvent.CLICK event. This sample class can be linked to a movieclip for instance from the FLA library by going to Library > Properties then linking the class which would be draw.logic.tests.GamePlayButton in the above sample. Great so we have a button now, on the MouseEvent.CLICK we are going to go to trace a message. All done right? Nope if you will notice the button does not get the linkable hand. Well in old skool AS we might just slap an invisible button on there or make it a button type. Better yet let’s just set the this.buttonMode = true; in code which makes it a clickable button, listens to the click event, and get the hand to notify the user that it is a clickable item. In the past most items could be moved to .as files but you would have this mix of people that still put onEnterFrames or button click on(release) code in the FLA itself. AS3 I think finally makes it fully possible to remove code entirely from the FLA with only stop(); scripts for different frames. A nice way to be is to have all script in external libraries and files removing all script from the FLA if possible. The script for buttons to the script for the main document class. The FLA is essentially just needed for library movieclips and AS3 real forces this separation. That combined with its general better structure makes this a much better platform than AS2 and Flash8, stop wasting your time developing in that and get to AS3 (take a gander at the better structured libraries in this migration link). I have been waiting for this. Polygonal labs released a pretty sweet package of core game development AS3 data structures (and other rich application development) tools that are common on other languages but not so in ActionScript. The library is extremely well written and polygonal labs focuses on speed of the stuctures. The methodology for these libraries is right along the lines I like. Focused on speed and performance but also readbility and speed over patterns if needed. I have tried to provide just the bare algorithm, coupled with a minimum set of methods I think are most useful to work with. Simplicity and performance were the key guidelines for the whole package. I am especially intruiged because I am building our core gaming libraries for blipgames and have been doing a bit of this myself but the depth of this kit is many hours ahead and very well written. Some of the classes include very common programming structures that are missing from flash/flex libraries. These will be pretty standard to most Java/C#/C etc developers but adding this to flash is just excellent. Here’s a list of the goodies in the kit. This is also called a FIFO structure (First In – First Out). Both structures store data that can be retrieved quickly by using a key…. A bit vector is some kind of array in which you can store boolean values (true/false – 1/0) as close as possible without wasting memory. Polygonal Labs has a tree sample up that has many possible usages from visualization of game states to building node based editors to anything really in game development. I could easily see a mix of this and scene creation in papervision via a flash application/IDE. I have to say I am excited to base my libraries on these kits and work to improve them as I can. Get on over there right now and check it out. Also, its under the MIT license so this instantly makes polygonal labs famous. Thanks Michael! Mousewheel usage has been increasing now that almost everyone has a mouse with a wheel on it. Flash and specifically AS3 has capabilities to get lots of information about the mouse wheel movement and mouse movements in general. Inside of our flash class that we are wiring up events for we need to put the event function that we pass as an argument. As you can see the method passes the object in the event. Here we are getting the delta property of the object returned for the mousewheel event. You can get any of these properties that return (you can see this if you trace out the object). The delta property is the amount and direction that the mouse wheel was moved up or down. If the delta is a positive integer then the mouse wheel was moved up, if negative it was moved down. On my computer I have scrolling set to pages so it sets to 6 or -6 on all movements. Others that have different mouse customizations might only move 1 or 2 in either direction, mine moves six. This is important to note for game development or browsing with zoomable applications. Not all mousewheels are the same. You can also see that there is a ctrlKey property and an altKey and shiftKey property to check if the user also has these down. This could be beneficial for navigation like in a 3d program or map where if you hold down shift or ctrl the application does different actions with the mouse wheel. The mouse positions are also passed so you could check if what to scroll specifically or zoom. These mouse positional properties are available in other mouse events as well, you can always trace(event) to the passed event to see what it contains. You can also attach these events inside individual classes so that they only reacte to their own mouse wheel events rather than on the main stage. //movieToMove.x += event.delta/6; // or any property like scaleX, scaleY, y, depth etc. We recently had a tutorial on making isometric assets for 3dsmax but this is the same tutorial for Maya. Orthographic cameras are again an isometric rendering that has no correct perspective, all edges are parallel, there is no vanishing point. This is great for gaming or maps where you need the items at the bottom of the screen to be the same size as the items in the distance. Many popular RTS or strategy games use this technique. What it does is make it possible to create assets that can be exported and placed all over the game without the need to render at different distances. Open your file in Maya (here is a great free one from turboquid.com). You will usually be in persp or perspective view. If not go to Panels > Perspective > persp. Position the camera (not the camera aim) by using the move tool on the camera to get it at a 45 degree angle at the corner). Then make sure the camera aim is at the base of the object (if you places it at 0,0,0 then it should be all set). You are now viewing through the camera. 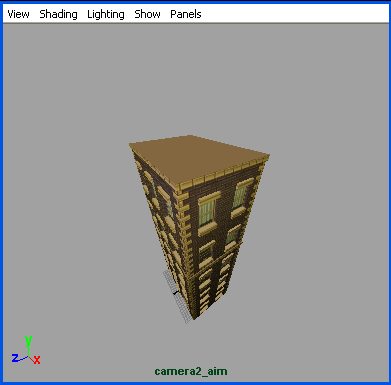 Usually you have to adjust it a bit here so get it so that the camera is pointed at the corner of the building with the move tools on the selected camera. Since this is a camera with aim you only have to move the camera and not worry about rotation and aim. I have my aim set to the bottom of the building. After you get the view right (you can manually set the angle at 45 degrees up and to the side or aim it manually) jump into the camera by selecting it with the list, then clicking Panels > View though Selected. To make it orthographic in the properties select the Orthographic panel, then check “Orthographic”. At this point it will proabably zoom in so you need to move the view by zooming in our out to make it fit. 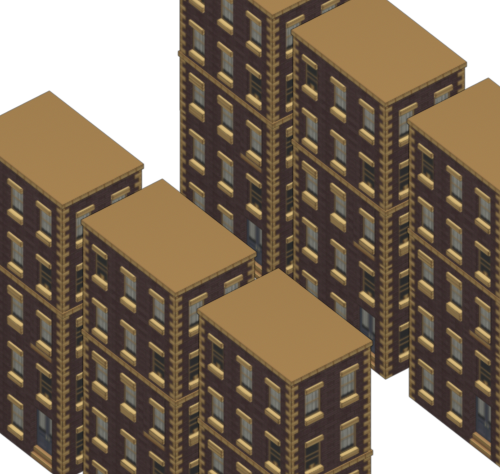 Now your model is in orthographic or isometric view so you can export it out to your game. 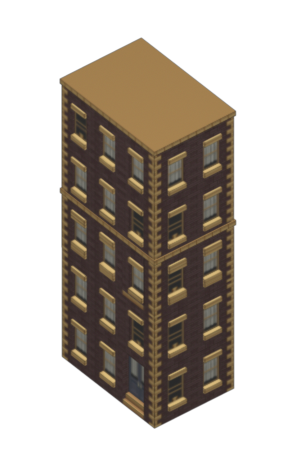 The ideal solution is to create a maya scene and import all your buildings, cars, or other game assets in individually and then export them individually with the same light and direction/angle so you can piece it together in the game and take advantage of reuse and loading only areas being shown.